It’s been an amazing summer as we have travelled around Ontario and other parts of the country speaking to the winners of our fourth annual Innovatio awards. This year we specifically made a call out to public sector organizations to consider submitting nominations on the work they are doing to make change in their legal departments. This was on the suggestion of our esteemed judges, who for the last few years have remarked that the public sector nominations really deserved their own category when you consider the different challenges they are up against. They face different regulatory challenges as well as taxpayer scrutiny on what they do. They are also often doing work with a small staff on a limited budget. So it was interesting that the overall winner that emerged from this year’s impressive lineup would be acting general counsel Leola Pon and her team at the Toronto District School Board. The judges were impressed with what Pon has achieved in the context of a massive organization — the TDSB is the fourth largest school board in North America — and one that is often in the news and not always in a positive light. Working with her opposing counsel from the public sector union, Pon came up with a way to reduce the time and cost involved in arbitrations (labour relations work was eating up 50 per cent of her budget) as well as finding ways to provide ready legal advice across the organization to improve her client service experience. Pon’s group was also chosen for the Diversity award in the public sector, small departments category. She has taken steps to hold law firms accountable for their diversity claims, and ensuring her team has training around anti-racism, anti-oppression and those with disabilities. The other common element to some of the nominations was “real-time information” and “speed of the deal” (ATS, BMO, Enbridge, Spin Master and Canopy Growth). Quite simply these days, there’s no time to lose. I hope you enjoy reading about the winning legal departments chosen by our judges this year. 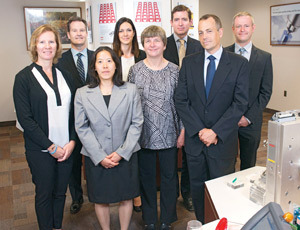 As part of Canadian Lawyer InHouse magazine’s fourth annual Innovatio Awards program recognizing innovation in-house, the Toronto District School Board was chosen by the judges as the winner in the category of Law Department Management, small departments, and from all of the Innovatio category winners it was selected as “Innovation of the Year” for the work it did to improve service to its internal clients. The Toronto District School board is the largest in the country and has about 40,000 employees, the vast majority of which are unionized with either teachers’ federations, the Canadian Union of Public Employees or other associations. The cost of dealing with all of the grievances that come out of the unionized employee groups was eating up more than half of the TDSB’s legal budget. Working with the union legal counsel from CUPE, the TDSB labour relations legal team began a pilot project to deal with the significant backlog of grievances filed by CUPE. About 16,000 TDSB employees are represented by CUPE Local 4400 in various support staff roles. In 2014, CUPE external legal counsel and TDSB in-house legal counsel began discussions to look at alternative approaches to the traditional labour arbitration model. At that time, there was a significant backlog of several hundred grievances that contributed to lengthy delays in having cases heard by arbitrators. The traditional process was also very costly — the TDSB’s legal spend on labour arbitration alone was approximately 50-60 per cent of its overall legal spend each year. The problem, says Leola Pon, acting general counsel, was that the traditional arbitration approach was taking longer. Hearings would sometimes take a year or two to take place. The grievance processing system was also slowing down given the volume of grievances before them. The school board legal department came to a point where it needed to cut its budget for external fees on labour arbitration. “Traditionally, arbitration was supposed to be a quick way of resolving disputes; unfortunately, the way labour arbitration has evolved over the years, it’s become a lot more technical. It was very inefficient and costing a lot of money as well,” says Pon. Working with counsel for CUPE, a framework was developed for a new process. “Once we got the ball rolling, it showed how we can achieve both outcomes for both sides through an expedited process,” she says. The pilot expedited arbitration process included written briefs as opposed to viva voce hearings and some time limits given to arbitrators to issue their bottom-line decision. Overall, the external legal spend for Q1 and Q2 of 2016/2017 has decreased significantly — it is currently 22 per cent of the overall total legal spend for 2015/2016. The TDSB anticipates a decrease in overall legal spend by at least 30 per cent by the end of the 2016/2017 fiscal year. In selecting the TDSB for the overall award, the judges noted Pon’s leadership in tackling a difficult process and bringing value to a public sector organization often under the intense scrutiny of taxpayers and the media. “They’re living in a very politically charged world and the fact they have come up with this solution and working collaboratively in a very charged environment I thought that was really good,” says Innovatio judge Dorothy Quann, general counsel of Xerox Canada. Judge Lynn Korbak agreed, noting that the legal department “took the lead to provide consistency” and are “doing things above and beyond” in the board. As part of its commitment to service excellence, the legal services team also undertook a number of other initiatives in the past year. “We have been specifically asked to develop resources to support superintendents of education whose responsibilities have changed significantly under the TDSB’s new Learning Centres Strategy. Under the LCS, superintendents play a very key role in supporting school administrators and providing responsive service to parents/guardians on school-related issues, including issues of a legal nature,” says Pon. The project included the launch of an intranet site containing legal information and Q & As on common legal issues such as family law matters, student records and privacy. The site also provides news on legal developments relevant to school boards, and biographic information on members of the legal department, development of knowledge management resources for TDSB lawyers and articling students containing precedents and other resources. The team is also prepping for the selection of a new legal document management system. You may not know the name, but chances are you’ve encountered a plastic bottle or other product made by a Husky Injection Molding system. Husky Injection Molding Systems Ltd. is a supplier of injection molding equipment and services to the plastics industry. Husky equipment is used to manufacture a broad range of plastic products such as bottles and caps for beverages, food containers, medical components and consumer electronic parts. The company’s head office and primary manufacturing facility is tucked up in an unassuming campus north of Toronto in Bolton, Ont. It was founded in the early 1950s and today the business spans 4,000 employees in 30 countries, with customers and competitors in 100 countries. This creates a complex array of legal matters for Husky, particularly in the area of intellectual property. Husky’s in-house IP legal team, led by general counsel Michael McKendry, and director of legal and IP Rick Musgrave, have been working to optimize the management of the company’s rapidly growing IP assets and aligning them with the company’s business interests on a global scale, all with improved prediction of associated costs in mind. Given the number of patent applications the company files per year, a major legal cost for the company has been patent procurement, so the legal team sought a systematic approach to identifying the company’s most important technology. • Innovation scorecard for the patent review committee (representatives from the engineering, marketing and IP legal departments) to use in determining whether to pursue patent protection for new innovations and the scope of protection needed. • Patent filing strategy tool with weighted scores for innovation attributes such as customer wants, cost reduction, revenue generation and breadth of exclusivity. • Annual patent review system to prune patents and patent applications with reduced business and/or technical importance through asset sale or abandonment — significantly reducing strain on the budget. Husky’s legal team is tasked with clearing the considerable number of new products developed annually by the company and planned for the marketplace. To avoid the possibility of infringing on a competitor’s patent, opinions were sought from outside counsel on all new products and at considerable cost. To improve the process, Husky’s legal team sought to quantify risk associated with each new product. • Opinion tool to determine when to engage outside counsel. The product life cycle, design-around options and available litigation defences are evaluated to gauge the risks associated with a competitor’s patent. Products are then categorized as low, medium or high risk. Low-risk products receive internal legal opinions. • Risk assessment tool for higher-risk products. After outside counsel provides an opinion on a product’s risk of liability, the opinion’s findings are analyzed and risk factors allocated based on product attributes and business forecasts. This enables Husky to weigh the risks and benefits utilizing a quantified set of criteria and make business decisions based on a fact-driven analysis. The above strategies have been phased in and are yielding annual dollar savings in the “high six figures” with better-quantified risk and reward. The tools created have produced annual patent procurement cost reductions of more than 15 per cent, and in risk management, the tools created have yielded year-over-year cost reduction for outside opinions of 10 per cent. Reducing cost and improved budget forecasting have positive impact for the entire corporation. Beyond that, there was a tangible benefit to other departments. “Over the last 10 years, Husky built a vast patent portfolio that protected our core products and looked forward to protect potential future products. “The number of patents directed to potential products outweighed the number of patents directed to current products by almost four to one — costing Husky significant sums to prosecute and maintain speculative patents. With the new process in place, we were able to free money from our budget and protect the products that mattered most. This allows me to gain a competitive foothold without straining our budget,” said John Knapp, product development manager at Husky. The ultimate outcome is a more focused IP asset group. One might view litigators as those on the front line of reacting to legal action as it hits an organization. But at Telus, Delbie Desharnais saw an opportunity for her litigation team to tackle risk before it came in the door. Desharnais is associate general counsel at Telus Corporation where she is head of the company’s national litigation team. She is responsible for all of Telus’ litigation matters across the country, overseeing all cases against the corporation, which include many highly publicized consumer class actions. She’s also responsible for the integration of her national litigation team with the corporation’s different business units for the evaluation and prevention of lawsuits. Desharnais co-ordinates external counsel services across the country, ensuring that the proper external resources are in place for the successful resolution of matters. She is at the forefront of negotiations with Telus’ providers, introducing and implementing alternative fee arrangements. The class action prevention program means that her litigation team now acts proactively in identifying potential risks and implications of upcoming corporate decisions, as well as in the prevention of litigious matters. To further Telus’ prevention program, Desharnais negotiated with Telus’ legal advisers to obtain advice with regard to potential class action suits and instigated “after action reviews” to continuously improve Telus’ practices. She encourages the litigation team members in providing risk mitigation recommendations. 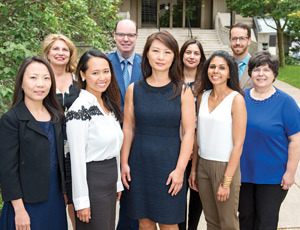 As a performance objective, the litigation team conducts the “after action reviews.” As a result, the prevention program, the conclusion of added-value services and arrangements and creative litigation strategies, Telus has reduced the number of lawsuits in which it is involved, successfully increased the management of its business risks and cut its litigation-related expenses. In some cases, Telus litigation team members have even acted as secret shoppers and made recommendations to improve training in retail environments. “It’s a good way to have the team be proactive and have a collaborative approach,” says Desharnais. Telus litigation also involves its external counsel, in the area of class actions, for example. They offer “pro bono” advice having been involved and how to improve practices. “We include in our retainer not only the specific defence for the matter but having a more general view to improve our practices,” she says. 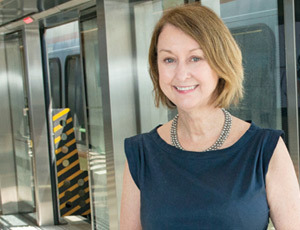 Mary Martin, executive vice president, general counsel and corporate secretary. 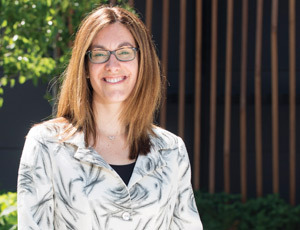 When it comes to diverse workforces, the legal department at Metrolinx is achieving a balance many would aspire to, but beyond the legal group, it’s general counsel Mary Martin who sees herself as the “heart and conscience” of the diversity and inclusion at the provincial Crown agency. The legal department is a microcosm of diversity at Metrolinx, says Martin, who is executive vice president, general counsel and corporate secretary. The department of 23 lawyers is headed by Martin and two senior female associate general counsel. Lawyers at the director level are split 3:2 women to men and the department contains 57 per cent female lawyers and individuals from more than 14 diverse ethnic backgrounds. “I think complex problem solving, which we seem to have lots of, really benefits from having diverse perspectives. Each of the lawyers in the departments bring their individual perspectives to issues,” says Martin. Based on the results of the survey, Metrolinx set out to establish a D&I program to ensure all individuals at the agency feel welcome, are afforded the same opportunities, are treated with dignity and respect and are able to fully participate in the workplace. “When I looked at the results of the survey there were just too many respondents who reported that they felt some time in the last couple of years they had not had an opportunity to advance by reason of gender, sexual identity, age, ethnic background or any other number of diversity dimensions,” says Martin. Metrolinx’s broad D&I program kicked off in early 2016. Although in its early stages, Metrolinx has recognized that a diverse workplace is not the same as an inclusive workplace. Ensuring representation of women, visible minorities, gays, disabled and other diversity groups within the workplace is just a starting point. “Lawyers generally, and Mary in particular, are well suited for a key role in D&I initiatives, given their training in the general principles of law and equity. In-house lawyers can also effectively use their position to raise awareness and address issues relating to poor D&I practices. Apart from being the right thing to do, Metrolinx lawyers saw that a strong D&I strategy can be an effective way to address tangible risks for a company through human rights, accessibility, accommodation and labour and employment issues,” said Heather Platt, senior legal counsel at Metrolinx, who nominated Martin for the award. Ultimately, Martin was selected as Metrolinx’s executive champion of diversity. As executive champion, Martin is responsible for initiating and delivering on the D&I program. Leveraging her corporate governance experience, Martin has established a D&I leadership council to provide program oversight. The council is comprised of diverse individuals from across the organization and is responsible for: defining and delivering on Metrolinx’s D&I Strategy; establishing key performance indicators to measure success; increasing knowledge and awareness of the program through employee communications; and working with human resources to ensure that equitable D&I practices are embedded in Metrolinx’s employment decisions including hiring, development, promotion and succession planning. Metrolinx’s five-year vision is to have an inclusive culture that fully enables everyone to be authentic and tap into their full potential. In June 2016, Martin launched Metrolinx’s diversity and inclusion intranet site that highlights Metrolinx’s D&I program, key elements of the governance structure, success story announcements and information on culturally significant dates. The site features a series of videos of senior employees, executives, directors and program staff, speaking about personal diversity challenges. Metrolinx intends to measure the success of its D&I program annually through key questions on its employee survey. These will track results to the 2015 census. Fernando Garcia lives and breathes the importance of promoting diversity every day and sees it as a competitive advantage and way to add value across his team, company and legal community. As general counsel, government affairs and corporate secretary at Nissan in Canada, Garcia is an advocate of diversity and inclusion in ways that not only benefit his company but future lawyers, too. The legal department is in many ways seen and treated as the leaders and cheerleaders for diversity within Canada. “His commitment to his lead role in the company’s legal team is matched only by his commitment to diversity and inclusion, both within the corporate fabric of Nissan and in the community generally,” said Helen Fotinos of McCarthy Tétrault LLP, who nominated Garcia for the award. When selecting firms to provide services for Nissan Canada, diversity is an important consideration for making decisions. Law firms are required to demonstrate and provide examples of what they are doing to support diversity initiatives. “In RFPs, when I’m looking for a new service provider, one of the first questions I ask is what are you doing in terms of diversity and inclusiveness — give us examples, give us numbers and documentation to show what you’re doing,” Garcia says. Garcia is a firm believer in leading by example and that change starts at the top. He also sees technology, including artificial intelligence and Big Data, as a way forward to promote diversity even further. This past year, he became involved in looking at the marriage of law and technology and the positive impact it can have in inclusion and diversity within the legal profession. By filtering success rates of litigation lawyers, it helps eliminate the “the old boys club” mentality of lawyer selection for matters. Garcia’s work on the Corporate Counsel Advisory Board for the Law Society of Upper Canada’s Law Practice Program has translated into work opportunities for a number of young lawyers in Ontario from diverse backgrounds and foreign-trained students by providing the opportunity to be considered for and obtain practical and hands-on Canadian legal experience at Nissan. Garcia also takes his commitment to diversity and his unique perspective continent-wide as one of two Canadian members of the Nissan North American Executive Diversity Council, which includes the most senior executives from Nissan North America. This role saw him transform the legal department’s culture at Nissan Canada, where diversity and inclusion were integrated as specific mandates into the team’s practice, encouraging meaningful relationships internally, externally and with the community at large. 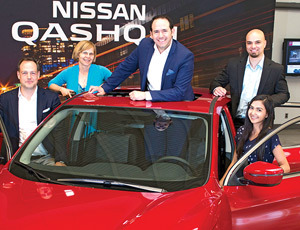 Under Garcia’s guidance, the legal team at Nissan has seen tangible changes in the way they interact among themselves and with their clients and the community in general. When you lead the legal department for one of the most diverse school boards in the country, the time comes when you realize those providing services to the organization should be demonstrating a commitment to diversity as well. The Toronto District School Board is the largest public school board in Canada and fourth largest in North America with 40,000 employees and 250,000 students in the city. In 2016, the TDSB started work on developing new strategic directions to support its Learning Centres Strategy. The LCS involves a board-wide restructuring that resulted in the grouping of schools into one of four hubs where staff can collaborate and share resources. In November 2016, the TDSB launched a Request for Proposals for legal services in eight areas of law. They added “demonstrated commitment to equity and diversity” as a selection criterion with points awarded for tangible examples of this commitment — for example, sponsorships, speaking engagements, involvement with organizations representing lawyers from ethnic backgrounds and law students from diverse backgrounds. 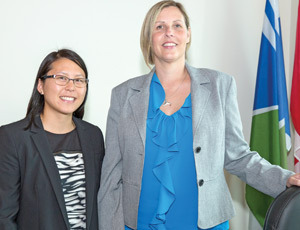 Acting general counsel Leola Pon says she was inspired to do this by the leadership of BMO Financial executive vice president and general counsel Simon Fish, who led a similar program a number of years ago. At the time, Pon was an associate at Hicks Morley Hamilton Stewart Storie LLP. “Understanding that one of the largest companies in Canada — a bank — made this such an important criterion for them, I thought if I ever had an opportunity to do it in the future I would do it as well. We’re so glad we’ve had the opportunity,” she says. In the RFP, 10 per cent of all points were allotted to a demonstrated commitment to diversity. The proponents had to give examples of what they do — such as sponsorship of ethnic lawyer associations or programs involving LGBTQ. A simple statement of commitment wasn’t sufficient — Pon was looking for actual demonstration. “Some firms were able to demonstrate that, but, unfortunately, some firms had a simple statement and I think nowadays, especially if they know the TDSB and our commitment to equity, they should know you have to do more than a simple statement. I actually encouraged a lot of firms to take another look at how they approach their submissions to actually devote quite a bit of time and effort to filling out that section,” she says. As a result, Pon says, there is greater awareness in the legal community that the TDSB is committed to diversity and achieving equity, and that it expects its legal service providers to share this commitment. As part of its service excellence commitment, TDSB lawyers delivered human rights training sessions in 2016 and 2017 for school administrators and superintendents of education. “We often consult with TDSB staff who have expertise in equity issues. We hope to positively influence other TDSB departments and leaders by sharing our ideas, initiatives and advice,” says Pon. If you’re in the business of tracking compliance in the financial sector, knowing what your risks are day to day is critical. While the traditional approach in the industry is to do an annual review of all possible regulatory risks, BMO Financial Group decided it was time to move to a more current practice. The project was led by Thomas Jones, managing director in BMO’s compliance department. 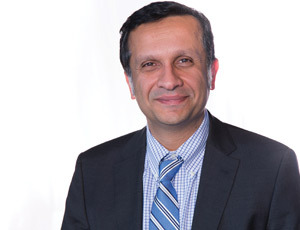 He oversees a global team — compliance testing and practices — with responsibility for running of the enterprise compliance program, which entails risk assessment, policy and procedure work and board reporting, as well as being the compliance testing centre of expertise, across BMO’s lines of business. 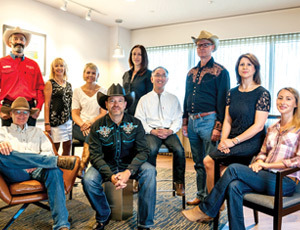 (left to right) Brian Lauzon, Tara Styles, Eric Moss, Robert Moher, Anthony Abbaterusso, Candace Seton-Rogers, Rosanna Sansalone, Allison McLeod, Rob Harland, Tom Jones, Scott Kerr, Hema Gothi, Greg Keeling, Karen So-Cheung. Missing from photo: Stanley Livingstone, Lisa Dorning, Michael Forlenza, Shannel Mangao, Sandra Sarudis, Karen Shuff, Wayne Kim, Daniel Yukilevich, Emily Tupy. Under Jones’ direction, BMO launched real-time compliance risk assessments instead of an annual “big bang” approach to the assessment process, where an organization would review all of its potential regulatory risk at one time, which is typical for the industry. The result of introducing this system effectively increased both efficiency of the process and accuracy of the assessment’s results. “We took a fresh approach with real-time risk assessments through three different ways,” says Jones. One way is based on trigger events, which could be a proposed new product the bank wants to launch that would cause an assessment of what risk does it pose to the organization before launch. Launching a new product may change the regulatory risk of the business unit; this is accounted for in the real-time compliance risk assessments. The second way the process was revamped was through a standard control library and grouping similar risks together — if two regulatory risks are similar, the assessment is to document only once. This has proved highly effective, with the line of business documentation requirements reduced by approximately 60 per cent. “That standardization gave us consistency and better accuracy across all of our different lines of business participating in the compliance risk assessment process,” says Jones. The third way is the grouping of requirements to make it more intuitive for the lines of business to understand the regulatory requirements applicable. With real-time assessments, “trigger events” such as changes in the business, external environment and/or controls lead directly to an update of the compliance risk assessments. The compliance risk assessment process is triggered by the “events” rather than waiting until an annual assessment, which can be months later. The results provide real-time information for management to act upon. With risk assessments conducted as needed throughout the year, the risk assessment process is more consistent, the information used to conduct the assessment is more relevant and the results are more accurate. Lastly, grouping of requirements into a balanced, intuitive level makes information understandable for the line of business and allows compliance to better calibrate similar risks across the bank. The new approach redefined compliance risk assessments, which are the cornerstone of BMO’s Enterprise Compliance Program. Because it is real time, they can integrate the results with other parts of their program such as monitoring and testing and issues management. Managing compliance in a fast-growing company that spans multiple jurisdictions in North America, Europe, Southeast Asia and China can be a major challenge, but Elliot Burger and the legal team at ATS Automation Tooling Systems saw an opportunity to leverage compliance and business benefits in rolling out new trade management software. 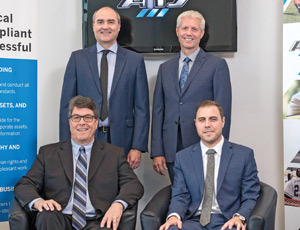 ATS is an engineering firm headquarted in Cambridge, Ont. that specializes in factory-wide automation systems, serving multiple fields such as automotive, life sciences, nuclear energy and consumer products. That growth had resulted in 24 manufacturing facilities in 18 countries using seven different enterprise resource planning systems and an employee base of about 4,000 people speaking 13 different languages. “Just from the start that’s a compliance challenge that we had to deal with. Beyond that, because of the acquisitions, we ended up with accounts payable groups and supply chain management groups that were somewhat fragmented who had historical relationships from a trade perspective and were operating on a regional basis and not thinking about the global compliance concerns of the parent entity,” says Burger. “Trade compliance is one of the fastest moving areas of compliance out there and perhaps one of the fastest moving areas of law. And that’s at the best of times and we’re all aware of what’s happening now in terms of speeding up those challenges,” he says. Valuable commercial terms negotiated by legal were at times left out of orders or substituted by local buyers. With reporting and record-keeping functions located in each country, ATS legal needed to find a solution to the compliance gap. The challenge was heightened by the absence of a corporate-wide ERP system and a lack of centralized control over multiple supply chain and accounts payable groups in individual subsidiaries around the world. The answer was a global trade management system where all incoming and outgoing parts, services and end-use product orders could be compiled, defined, categorized and analyzed. A system was custom built for ATS, with ATS spelling out the specific requirements of its compliance program. The TMS solution ATS chose gave the company a portal where the company could track all freight movements across the company with a central view to providing compliance advice. “It’s given the legal group the transparency we want from a trade perspective. We have a portal to put all due diligence on our suppliers, our customers, our third parties, we can send out compliance messaging to all divisions on a single portal. You can also put training on the portal and that’s important given how quickly trade compliance is moving right now,” says Burger. The TMS allows policies and procedures to be distributed and implemented globally, and due diligence on suppliers, customers and third parties to be managed and stored. In the absence of centralized control, ATS’ various supply chain groups were collectively employing 55 different freight forwarders and 13 different trade brokers. As a result, the AP groups were receiving thousands of freight shipment invoices per month with little information on the underlying orders or shipping cost implications. ATS legal simplified the relationships with external service providers, and alleviated the administrative burden of operating a multinational supply chain system, while building a tool that served the compliance needs of the parent company. Burger estimates it will save the company $2.4 million when rolled out worldwide. When Joel Schuster joined Avigilon Corporation three-and-a-half years ago, the fast-moving industry of video analytics was booming. The company’s patent portfolio was growing fast and there was a need to monetize and track it more closely. Avigilon, founded in Vancouver, B.C., designs, develops and manufactures security surveillance products including video analytics, network video management software and hardware. The company employs about 1,200 people worldwide. As chief legal officer, senior vice president and corporate secretary, Schuster oversees the entire legal department and external counsel in connection with transactions, litigation, intellectual property (including trademarks, copyrights and patents) and general legal matters. He also monitors and advises on legal development strategic matters and oversees the company’s tax and HR functions. Technology plays a huge role in getting work done in the company’s legal department. “We’re always looking for ways we can work more efficiently and better and technology is a great way to work faster,” he says. He oversees a team of approximately 30 individuals, including legal, tax and HR functions — 10 are lawyers. The group is split between two groups, one in Vancouver and one in Washington, DC. Schuster has built the legal department around internalizing outside services, such as employment law, patent agents and tax specialists, reducing external spend while improving internal responsiveness and quality of work. “Quality, timeliness and being business-minded are key elements to Schuster’s approach to in-house law,” says Roch Ripley, partner with Gowling WLG in Vancouver, who nominated Schuster. In three-and-a-half years with Avigilon, Schuster has worked on a number of key matters, including generating and monetizing an IP portfolio of more than 750 patent assets that cover the various technologies Avigilon works within, most notably video analytics. When Schuster started with the company, it had a “very modest” patent portfolio. He has also led numerous large transactions and the launch of a global patent licensing program in early 2016, leading to new licence agreements with numerous licensees. “Right away, we made the decision to bolster that to protect our innovations and we have a patent licence program. So we go out to other companies in the industry and we license the patents so we share in the upside as video analytics are adopted across the industry; we can share in the profit,” he says. Schuster has implemented a number of other technology practices in Avigilon’s legal department. Last year, he oversaw the implementation of a global task management system called QuickBase, allowing members of the team to check the status and timing of every project being worked on by the legal department. “Other people in the company can see where we’re at in a project at any time,” he says. Additionally, Schuster oversaw the implementation of a patent research system and a patent document system to support the company’s IP department and more than 750 patent assets. Schuster has also overseen the implementation of a document and file management system, Worldox, to combine in a scalable location the entire department’s documents. Finally, within the HR role, Schuster oversaw the implementation of SuccessFactors, an HRIS system used by the company to interface with its employees and their records. Schuster is a member of the bar of Massachusetts and British Columbia. 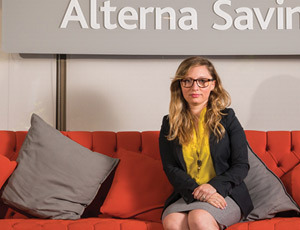 When Alena Thouin arrived at Alterna Savings and Bank three years ago, there was no internal legal department and the financial institution was in the midst of a tremendous growth spurt. Her mandate was to create a team to address legal issues as well as help the organization meet immediate demands that included taking the 100-year-old institution into the digital age at a time of increased demands in the area of compliance. Thouin is general counsel and corporate secretary at Alterna, providing leadership to the legal and compliance group as the chief legal and compliance officer. 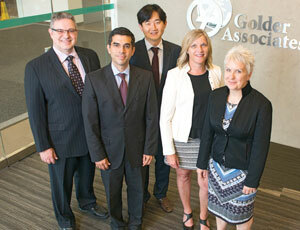 She leads an eight-member team of lawyers and compliance officers located in Toronto and Ottawa. Since 2014, she has built the legal and compliance function and transformed it into one that serves “as an invaluable partner to its business clients,” wrote Dina Vardouniotis, senior vice president and chief marketing officer at Alterna, in her nomination of Thouin. For example, Thouin was involved in the launch of a major digital offering across the country with “innovative retail banking solutions in a heavily regulated sector,” managing both federal and provincial considerations. She was part of implementing “me-to-me” payments, which was part of the launch of Alterna’s online banking service. “We have had our banking licence for over 15 years and have been a financial institution for over 100 years, but in the last couple of years, there was a strategy put forward to increase our online presence so the online banking initiative was around launching the online, everyday banking package for consumers,” Thouin says. While the technology existed to make it happen, the complicated piece for Thouin and her team was the compliance portion. They sat down with the technology and product development team at Alterna and came up with a solution. “One of the ways we wanted to differentiate ourselves from others was to allow new clients coming from other financial institutions to transfer their funds easily when they make a choice to join Alterna. One of those was with me-to-me transfer — a technology process where you can take money and transfer to [an] Alterna account. It sounds simple, but in the past, it was not something easily achievable. The compliance piece was tricky, but we hammered out a process that would still be compliant with regulatory requirements and in a way others haven’t been able to get there yet,” she says. Thouin sees technology as the path toward providing improved service both internally and externally. “Within my team, we’re very focused on using technology to enhance our ability to provide services. I have both compliance and legal teams and both are very focused in making sure we are using technology as a tool to make ourselves better business partners and a more effective and efficient service,” she says. When it came time to improve the organization’s vendor management process to make it more efficient the first question was could it be automated? After doing some cost-benefit analysis, it was decided to build out the existing system to make it work for the team. “She has managed to transform a perfunctory cost function into a forward-thinking team of individuals,” said Vardouniotis. Andrew Mayer joined the Port of Prince Rupert in 2008 as a director and was vice president, commercial and regulatory affairs and general counsel until he was appointed to the bench of the Supreme Court of British Columbia in April. As a member of the executive team, Mayer provided legal and strategic business advice to the executive team, the CEO and the board of directors. He oversaw regulatory matters affecting port operations and led commercial negotiations in respect to new developments and terminal expansion projects. He was also responsible for the negotiation and implementation of settlement agreements with the local First Nations. Mayer managed a team of two in-house counsel and two support staff as well. Realizing that the organization didn’t have any central repository for all of its contracts — various departments were managing them, so there was no easy way to track them — Mayer purchased software from Legal Suite to store and manage all PRPA contracts. From there, he worked with his team to develop a contract compliance program. As the team’s knowledge of Legal Suite developed and the PRPA continued to grow, Mayer recognized a need for a more fulsome contract compliance program that would not only pay attention to date specific compliance issues but could also track other compliance matters. Last year, he tasked O’Brien and Karen Choy to meet with all of the departments and review contracts to consider how they could improve contract compliance. 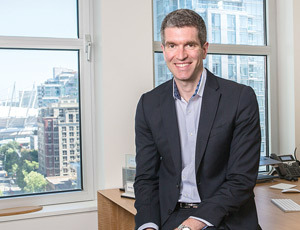 Andrew Mayer, former GC, now judge with Supreme Court of B.C. “In this case, contract compliance refers to ensuring that both PRPA and the other contracting party are meeting their obligations throughout the life of the contract,” says O’Brien. “For example, if we have a contract where there are obligations on a tenant to conduct regular environmental tests and provide PRPA with the results, that would be a compliance issue we would want to be able to track in our new contract compliance program,” she says. Another example would be if the PRPA had an obligation to provide certain information to the other party. “It may be the responsibility of another department to provide that information and we would want to be able to confirm that it was completed as required under the contract,” O’Brien adds. The program is still in its early days as the department spent most of last year researching and coming up with recommendations. The department is also providing more information to the management team on newly executed contracts that include information on compliance items for which each department would be responsible. “We are then able to follow up with each department and record the information relating to these compliance issues in Legal Suite so we will have a running history of the contract,” she says. This may sound familiar to many large organizations: Each month, you exchange important data between business units on Excel spreadsheets, but you never fully capture the data in a way that can benefit the organization in real time. At BMO Financial Group, the bank’s litigation group was doing this kind of exercise with the bank’s operational risk group on a monthly basis. The exercise was time consuming, had the potential for human error and required many, many steps. The litigation practice management group is a group within the bank’s legal and compliance group comprised of litigation lawyers supporting different areas of the bank’s business. It was created to ensure that best practices and processes for litigation risk management were adopted uniformly across the company. 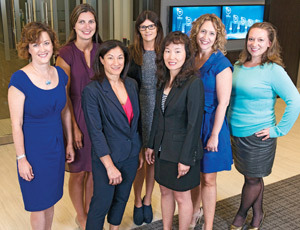 The litigation group feeds data about losses through to the operational risk group at BMO. On both ends of the process, they have technology that’s owned and managed by different groups at BMO. For this initiative, the LPMG working with BMO’s operational risk group took the largely manual monthly process of reporting risk events on spreadsheets, which involved multiple groups across the bank, and transformed it into an automated, real-time activity. This was achieved by integrating existing technologies — the legal group’s case management tool and the risk group’s database of operational loss events, one of which would be litigation losses. “We partnered with our technology group and allowed a direct feed of information from the litigation tool into the risk tool without any manual intervention,” says Waechter. Considered a “highly complex integration,” the benefits of the process improvement are considered significant. The result has been more efficient and timely reporting of legal risk events to risk — continuous, real-time, information flow to risk ensures that the most current and timely information about risk events is being used. Prior to the automation project, a significant amount of lawyer and paralegal time was spent preparing and reviewing monthly spreadsheets and then directing and responding to questions from risk. Similarly, when risk received the monthly spreadsheet, considerable time was spent transferring data from the spreadsheet to the risk system. The automation has reduced the internal resources required to deliver risk event data to the risk group, as well as greatly reduced the churn that previously followed the delivery of data. Now, the data offers greater transparency to risk about the legal risks in the bank’s lines of business, improves risk’s reporting to management and furthers BMO’s ability to provide accurate and timely reporting to regulators. There is also a lower risk of human error because of the increased accuracy of risk events as a result of safeguards built into the legal group and risk operating systems. Additionally, the safeguards either prohibit inconsistent information about risk events, ensuring the accuracy of the enterprise’s risk events, or will flag items that appear to be inconsistent so they can be resolved immediately. Keeping risk event data in the legal group’s system allows them to analyze the data differently and identify trends, which further enhances the systems risk management capabilities. This innovation provides the legal group with better data analytics to enhance risk management discussions with its stakeholders. In addition, better analytics are now available to the Legal Group for assessing both short- and long-term trends. During the continued downturn in the oil and gas and mining industries, it was important for Golder Associates Ltd., a global engineering company focused in the energy sector, to manage risk across the board and still remain competitive. Building on its “Making Legal Services Better” campaign, the legal team under the leadership of Canadian general counsel Tony Linardi embarked upon phase two of its initiative. “By being involved at the earliest stage of a business opportunity, we’re better able to help the operations team assess the real risk involved in a project and develop an execution plan,” says Linardi, GC, corporate secretary and principal in Canada, overseeing teams in Vancouver, Calgary and Mississauga. “As a consulting engineering firm, with thousands of design and construction projects around the globe, managing project risk is key to our survival,” says Linardi. The development of a structured Project Risk Committee approval process was required, but to create an efficient model to work for a company where a $1,000 concrete testing project in Canada could create the same or more liability as a $25-million solid waste landfill project in Africa was a challenge. A system was created that did not just rely on the typical dollar value for thresholds. Instead, a qualitative approach was taken so that the PRC would be triggered by real risk, not an arbitrary dollar value. Approximately 25 PRC distinct triggers were finalized of actual risk factors (scope of service, complexity of the project, geographic location, contract terms, technology use, etc.). 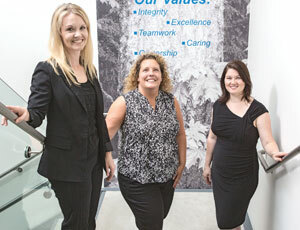 Alyse Wilkinson, team leader, senior contract specialist, and Mary Wharton, executive assistant, were the “stars” of the program, says Linardi. Wilkinson took on the initiative to ensure that the principals and associates who were used to “calling their own shots” understood that this was an evolution of the risk management program. “She rolled up her sleeves to fill the ‘execution gap’ that existed between the design and implementation of the process,” says Linardi. Working through the applicable trigger(s) with project teams to determine how to best mitigate risk, increase profit and present to the PRC, Wilkinson modified the templates and process and developed frequently asked questions and training components to help focus on key objectives. 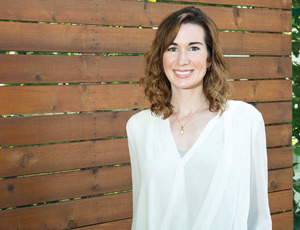 She found ways to fill the gap between management and operations and streamlined the process so that items could be approved by email and projects unlikely to succeed could be abandoned at an early stage, saving proposal costs and effort. She then worked with each individual legal team member to ensure they knew the process, before it was rolled out to their regions. Wharton developed a reporting system of conditions not only for approvals but also for monitoring compliance with the conditions that the PRC had set. Even if a project was approved, it wasn’t carte blanche; the proposal may have conditions or the project may have monitoring obligations during execution. The implementation and revisions to the process led by Wilkinson and Wharton not only manage risk but also save the company money by having Golder focus on pursuits that are likely to be more profitable. An additional piece was the integration of this process directly into the sales funnel. In addition to the PRC, the team targeted finance, human resources, claims management, real estate and procurement to see if legal could help manage some of the risk in their groups. “Daily Sales Outstanding” is a key cost to many businesses. Legal usually doesn’t get involved until a large claim arises for non-payment. Wilkinson contacted more than 100 of the company’s largest DSO offenders and created a “hit list.” Within three weeks of initial contact, $4 million of the $11 million of revenue stuck in overdue DSO was back in Golder’s pockets. Thereafter, a joint finance-legal team working group was developed. The new automated process gives the legal team weekly cash flow reports, with insights into overdue accounts, in order to have the right team member assist with the collection. Now, due diligence is performed at an earlier stage and the project team works with legal and finance so that viable collections are handled internally, with only the outliers going to an external collections group. The process has now been implemented across North America. Nicole Clark, senior legal counsel, was charged with making the corporate services teams feel as though they weren’t an afterthought when it came to obtaining help from the legal group. The biggest impact was in the relationship with human resources. With the decline in oil prices and mining, significant restructuring occurred, including more than 400 terminations in a short period of time. Working with HR, looking at available transitions and performance improvement plans, she found a working formula to balance Golder’s obligations with the demands of employees. An intake form, combined with a unique severance calculator, allowed for proper discussions to occur. Clark’s handling of all employment-related disputes created a streamlined and consistent process, which resulted in less than one per cent of restructuring events commencing any litigation. Fiona O’Brien, national insurance co-ordinator, and Linardi determined a Risk Management Information System would greatly increase efficiencies in handling litigation events, and they selected a software product for Canada that could be scaled globally — Riskonnect. The potential of this software was so significant that the global leadership determined that an RMIS would be required globally and initiated a global procurement process. O’Brien is now leading the implementation globally, with Sheryl Marzzarella, general counsel, global. Joan Didriksen, national leader, real estate, and Linardi initiated a process to streamline real estate assistance to more than 100 locations. “We have a clear schedule, going decades out, of when leases are expiring and the appropriate steps that need to be taken years in advance. This gives us insight into future costs well in advance and helps reduce costs by centralization,” says Linardi. All leasing matters are being outsourced under an alternative fee arrangement with an external law firm, which has freed up one full legal counsel position. “This innovative alternative fee structure has a built-in ‘is it working for both of us’ review component and has been a true and honest win-win for Golder and the law firm. This entire process has been so successful that Paul Cohen, general counsel-U.S., has expressed an interest in expanding it south of the border,” says Linardi. With the decline in oil and gas, Lisa Yellin, legal counsel, and Andrew Palmer, contracts specialist, have had to work hard to keep the company’s internal clients’ trust in Alberta, and find that balance between commercial risk and legal risk. Through team integration and use of risk registers that now include a column for how contractual risk could be mitigated though project execution, the team was able to push back when revenue was a key driver and successfully negotiated several master services agreements with national clients in a manner that drove revenue while managing risk in a declining and competitive market. By collaborating with the project team and helping them understand that they can reduce contractual risk of specific terms through project planning and execution, they have helped to position the legal team as a strategic business partner. This new type of risk register is an easy way for the company’s consultants to be reminded of how to execute their projects to mitigate risk factors that the company was not able to remove in the contract negotiation. Many of the initiatives will become the standard across Canada and the U.S., and some will be the new standard globally. “The result is a more engaged legal team that is trusted and accepted more by the operations group,” says Lindardi. Faced with evolving challenges in the health-care industry driven by shifting demographics, complex patient needs and fiscal constraints, Erica Zarkovich, general counsel, chief privacy officer and corporate secretary at Cancer Care Ontario, decided it was time for an organization-wide enterprise risk management program focused on effective risk management and risk intelligence. The program, which was launched in 2015, has already shown significant progress. Open discussions with staff are encouraged in an effort to proactively identify risks and opportunities and to focus staff on risk intelligent thinking. The process is integrated into the organization’s day-to-day operations. Focusing on starting dialogues and creating simple processes has promoted big-picture thinking and minimized the apprehension around complex models and methodologies normally associated with ERM. A consultative approach is used to work with each of CCO’s many lines of business, focusing on their unique governance structures and risk profiles. Recognizing that one size does not fit all is an essential outlook required to effectively integrate ERM into existing operations. CCO’s compliance program is similarly premised on the principles of ERM. After providing a high-level introduction to ERM across the organization, the focus has quickly shifted to a more hands-on approach. Individualized workshops in small group settings allow teams to identify and mitigate their most pressing risks. Once they have tackled these challenges in a facilitated workshop, they are better equipped to use ERM as a tool in their daily operations. While the program promotes collaboration at all levels, a critical program development has been the formation of a risk committee comprised of directors and senior managers from across CCO. The risk committee provides a venue to openly discuss and triage risks. Partnerships with senior management and the board are key components of the program. Significant risks identified at the committee level are brought to the executive team and board of directors, who provide valuable insight in their areas of expertise. These dynamic and flexible cornerstones have been instrumental to the program’s achievements, promoting a cultural shift and readying the organization to effectively deal with the challenges facing Ontario’s health-care system. Although CCO’s legal department is not new to risk management, 2015 marked the launch of a full risk management program, which resides in the legal department. Prior to this, risk management had been a reporting exercise without a true mechanism to prioritize or escalate risks, allow for open discussion or utilize the concept of risk management in decision-making and operational processes. The new ERM framework focuses on adding value through the integration of ERM at all levels of the hierarchy to ensure that information related to risks flows vertically and horizontally throughout the organizational structure. Whereas previous attempts at ERM focused primarily on reporting and filling in templates, the newly launched ERM program is fully dependent on organization-wide collaboration and co-ordination. Formal discussions are held with directors, vice presidents and board members to allow risks to be properly escalated and mitigation strategies implemented and monitored. “Our board has become particularly engaged in this topic and has provided significant praise for the quality of work generated by the ERM team,” said Jenna Lasky, group manager of enterprise risk, who nominated Zarkovich for the award. “The progress made with respect to integrating ERM across CCO is also readily apparent in the quality of discussions occurring and in the risks now being identified,” Lasky said. “Whereas previously our organization’s discussion on risk was related only to risks within our span of control, it has now expanded to include those impacting Ontario’s health system at large. For both small and large organizations, understanding how to use data to better inform future decisions is an ongoing challenge. It’s there to be made use of, but many legal departments have yet to embrace the rewards data can deliver. Hales recently undertook an initiative at TD Bank that involved rationalizing all external law firm billings for the group she represents and setting up a system to track deal costs and pricing systematically. This will enable TD to manage its external legal spend in a more organized manner and make smart pricing decisions. She has also led a number of innovative transactions for TD including its first subordinated debt public offering into the United States. Having come into the in-house group at TD just two years ago, her nominators indicate these are great accomplishments. “These are skills that one would typically see in counsel with many more years of in-house experience,” said Wendi Locke, partner at McCarthy Tétrault LLP, who nominated Hales. A former investment banker with Goldman Sachs, Hales holds a law degree and an economics degree from Harvard University. She is called to the bar in New York, Connecticut and Ontario, having passed the U.S. bar exams based on her own initiative. 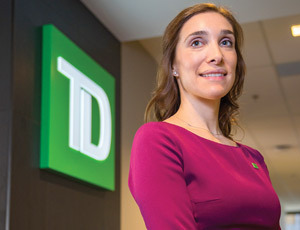 “Having worked at a Bay Street firm then at TD for eight years and managed the same legal team where Brooke works, I can sincerely say that Brooke is the most insightful, intelligent and analytical young lawyer I have worked with,” said Jennifer Lee, vice president with TD Bank, one of three individuals who nominated Hales. Hales says at the beginning it was about “changing habits” — originally there was billing to just the general matter buckets Lee referred to. “We would open individual matters for each issuance that we did, so it’s a little bit more work upfront, but by doing this, we were able to generate the type of data we needed to see exactly how much we spent on each type of issuance and was it more in certain jurisdictions? And was there a reduction as we did more of the same type of issuance going forward?” she says. “The result is that we have a much clearer picture of our external counsel spend, so we’re able to tell by issuance what we spend with various firms and look for opportunities to reduce that,” she says. Hales has been working in-house for five years and was called to the bar in 2010. She is also a member of Women in Capital Markets, sits on the paraprofessionals committee at TD and is involved in TD’s United Way fundraising efforts. 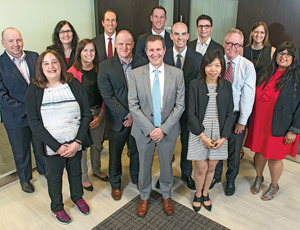 In a mega-deal involving large assets in Canada and the United States, the cross-border issuance of shares and shareholder meetings in both countries, the internal legal team at Enbridge Inc. put its best internal talent and project management processes to work in its acquisition of Spectra Energy. In September 2016, Enbridge announced that it had entered into a definitive merger agreement with Spectra Energy Corp. It was completed on Feb. 27, 2017, and the combination created the largest energy infrastructure company in North America with an enterprise value of $165 billion. It is considered the largest ever acquisition by a Canadian company. From the start of the transaction, Enbridge’s in-house department designed a process for handling legal work that maximized efficiency and confidentiality. Threshold legal issues, including those related to debt instruments, regulatory matters and transaction financing, were handled by David Robottom, the then-executive vice president and chief legal officer general counsel. Robottom retired during the pendency of the transaction and tragically passed away May 28. Robottom was aided by an internal legal team led by senior legal counsel Jim Bell. The team also worked with longtime Enbridge external firms McCarthy Tétrault LLP and Sullivan & Cromwell LLP. The focus on maximizing use of internal legal resources continued throughout the transaction, including after Robottom’s retirement under the leadership of Tom Schwartz and Bob Rooney. Bell says that, in addition to bringing together their external counsel, they utilized the best of their internal legal team. “The Enbridge legal project team managed the transaction within the context of the overall project management structure that was led by the corporate development department. David Robottom, who was EVP, general counsel at the time, established a small team that represented diverse skills, genders and geographies across Enbridge,” says Bell. Lori Cornwall, associate general counsel in the gas distribution department in Toronto, had experience as an anti-trust lawyer and was selected to handle cross-border regulatory approvals with the competition bureau and Federal Trade Commission in the U.S. The deal positions both companies for growth in a time of lower commodity prices and greater regulatory burdens. 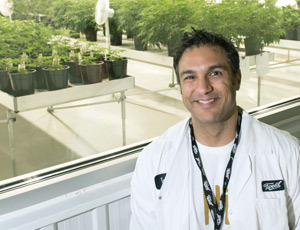 In a small town about 40 minutes outside Ottawa, Phil Shaer has been putting together some of the biggest deals in the high-stakes world of the cannabis industry. The publicly traded Canopy Growth Corp., formerly Tweed Marijuana Inc., operates, somewhat ironically, out of 1 Hershey Drive in Smiths Falls, Ont. As renovations take place to expand the operation for cannabis production, some elements of the former chocolate factory, such as a big Hershey sign in a meeting room, remain. Canopy is worth about $1 billion and the former production facility has more than half a million square feet of indoor and greenhouse production capacity. Shaer has been the GC and vice president of human resources at the company that has had one of the busiest deal pipelines in the past 12 months. It has been a time of unprecedented growth and activity for both Canopy and the marijuana industry in Canada. As Shaer reflects on often, the company is taking what was once an illegal substance into the mainstream of Canadian society. In 2016, Canopy had a groundbreaking year of deal making, led by Shaer and his small internal legal team that consists of Cailey Greenberg and Donald Henderson, both of whom came through acquisition of other cannabis companies. Two deals in particular highlight a year of growth for the company. On Jan. 31, Canopy completed the acquisition of Mettrum Health Corp. — its biggest competitor — for $430 million. The acquisition made Canopy one of the largest producers of marijuana in the world. “The biggest issue in our space right now is capacity, so a huge way of improving that is acquisition. We wanted their existing patients,” explains Shaer. On June 28, 2016, Canopy announced the closing of a joint venture agreement with São Paulo-based Entourage Phytolab S.A. This saw Canopy’s wholly-owned subsidiary Bedrocan Canada Inc., Bedrocan International BV and local Brazilian partners create a new company called Bedrocan Brazil S.A. to facilitate the importation of Bedrocan’s proprietary standardized cannabis varieties into the Brazilian market. It was an international joint venture that brings Bedrocan’s cannabis genetics to patients in a market with a population in excess of 200 million. Through the involvement of the in-house team in each of the deals, “tens of thousands in billings were saved,” but it also ensured the in-house team could focus on the business and people side of the transactions — resulting in earlier and easier post-closing integration of acquired assets and resources. Jeffrey Cohen, managing partner, Christopher Harrs, executive vice president and general counsel, corporate secretary, Spin Master Corp., Glen Eddie, partner, Torkin Manes LLP. If you were a kid in the 1960s or you have children today, you’ll know the toy brands of Spin Master Corp., a Canadian company that has been in serial acquisition mode in the last few years. With well-known brands such as Etch A Sketch, Meccano, Air Hogs, Hatchimals and PAW Patrol, Spin Master has grown from a single product toy company into a global and diversified multi-media children’s entertainment company. 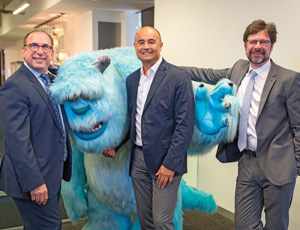 From its original three-person operation, it has expanded to employ more than 1,000 people globally, with a catalogue of toy and children’s entertainment brands that are recognized around the globe. In May 2016, Spin Master completed its acquisition of Sago Sago Toys Inc. (Sago Mini), Toca Boca AB and Toca Boca Inc. (together, Toca Boca) from the Sweden-based Bonnier Group. Toca Boca is one of the top children’s app companies in the world with five of the top 10 apps on the iTunes store and 15 million unique visitors a month. Spin Master had never purchased or done diligence on what is essentially a software company. “We needed to lean on our external counsel at Torkin Manes as to what to look for in due diligence on software such as looking at bugs, at where it’s hosted and a raft of other risk analysis issues we were not used to looking at,” Harrs says. The deal was noteworthy for its complexity and the speed at which it was negotiated and completed, which lawyers at Torkin Manes say is attributed to Harr’s approach. A deal that would usually take three months to finalize was completed in three weeks. “We felt we needed to act quickly if we were going to obtain the prize,” says Harrs. Spin Master’s ability to meet the Bonnier Group’s strict timelines was a critical factor in its successful pitch for the company. The company has completed five acquisitions since its IPO in July 2015. Given the volume of deals, it is critical that Harrs and his four-person legal department develop efficiencies. Spin Master also contracted with KPMG to do a “deep dive” into the financials and look at an appropriate working capital number to assume on closing. Pillsbury LLP was U.S. outside counsel to Spin Master as was Phillips Nizer LLP. DLA Piper LLP was on for the Bonnier Group. “The reason this deal went so quickly was to have external expertise right off the bat helping us do all the vetting and negotiation and due diligence as required. I’m not shopping around for external counsel,” says Harrs. The value of both of these measures was demonstrated during the Sago Mini and Toca Boca acquisition. The deal involved an extremely tight time frame and multiple jurisdictions, it also presented a challenge in the form of evaluating the business model and value of three separate yet integrated corporate entities engaged in a new-economy business.